KfW Ipex-Bank, a German development bank, has loaned €200mn to support renewable energy production in India. 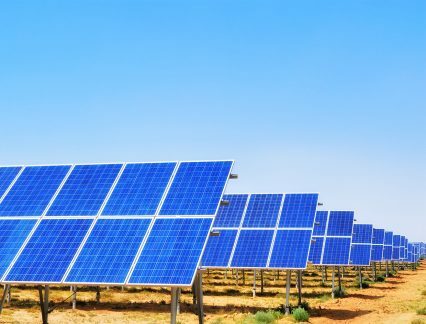 The borrower is Rural Electrification Corporate (REC), a government agency that will onlend the finance in the form of low-interest loans, to investors in the solar and wind power sectors. Borrowers must contribute 30% in equity to any project supported by the REC scheme, while it is also hoped that other banks can join financings through syndication. It fits in with the Indian government’s plans to produce 175GW of renewable energy by 2022. This would represent around 50% of total energy generation. 100GW would come from photovoltaic energy under this plan, with a further 60GW coming in the form of wind energy. The rest would come from smaller sources, such as biomass and small-scale hydropower. This KfW Ipex package will see enough power generated to support 270,000 Indian homes, offsetting some 285,000 tonnes of carbon emissions each year. It marks the fourth line of credit REC has received under the Indo-Germany Development Co-operation, a bilateral initiative designed to support renewable green energy projects in India. KfW Ipex has a history of supporting rural electrification in South Asia. Since 2016, it has provided support for Myanmar’s rural electrification programme, culminating in a financing package in 2017.